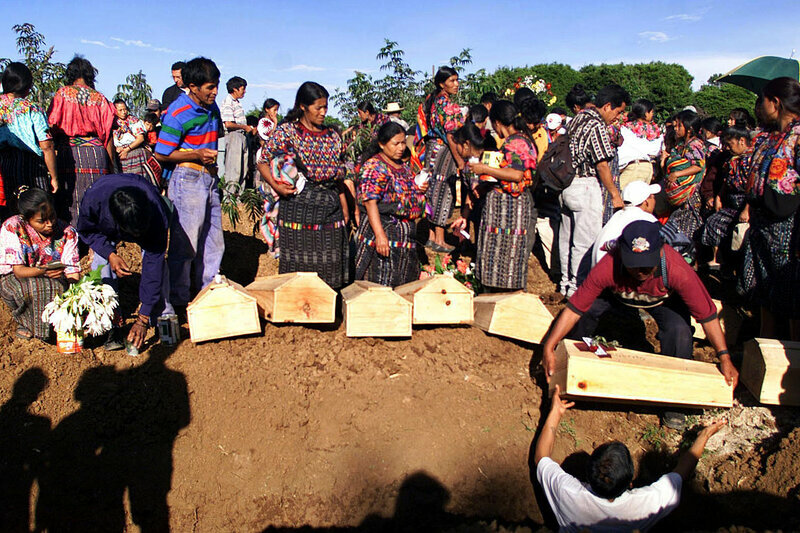 On 22 January 2019 Maria Martin contributed a long piece in NPR on “Killings Of Guatemala’s Indigenous Activists Raise Specter Of Human Rights Crisis”. She sees a big risk of a return to overall violence as in the past and the main indicator is the continued killings and suppression of (indigenous) human rights defenders. Other links mentioned below point in the same direction. It would seem that the ray of hope of May 2018 is extinghuising [https://humanrightsdefenders.blog/2018/05/25/ray-of-hope-2-guatemala-and-impunity/]. 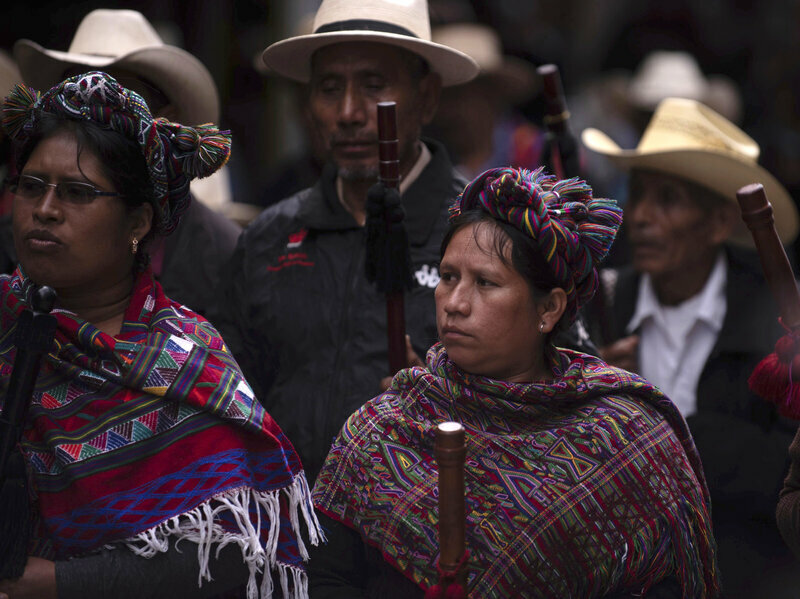 ….Indigenous citizens, many dressed in colorful traditional clothing, came out partly to protest the Guatemalan president’s recent expulsion of a United Nations-backed commission investigating corruption in the country. Since 2007, the International Commission against Impunity in Guatemala, known by its Spanish initials CICIG and funded by the U.N., the United States and the European Union, has worked with Guatemalan justice agencies to target corrupt officials. In the highly unequal society that is Guatemala, many Maya believe any strengthening of the justice system will protect indigenous rights granted under the country’s constitution and peace accords. The country’s indigenous people therefore have a strong motivation to lobby for the rule of law. Maya communities bore the brunt of almost four decades of a civil war that ended in 1996, leaving over 200,000 casualties, the majority indigenous Guatemalans, according to the United Nations. Now the mostly Maya organizations and many human rights groups worry that the violence is making a comeback: In just the last year, 26 members of mostly indigenous campesino organizations have been killed. “Guatemala is on the verge of a major human rights catastrophe,” says Jo-Marie Burt, a professor at George Mason University in Fairfax, Va., and a senior fellow at the Washington Office on Latin America, an independent research and advocacy center. According to Burt, the Guatemalan Union of Human Rights Defenders has tallied over 200 attacks against human rights defenders in Guatemala in the last year….Guatemala is close to falling into the violence that gripped the country 30 years ago, which the United Nations and some Guatemala courts say led to a genocide of the country’s indigenous citizens. One of the killings took place in July, in the province of Quiché, one of the areas hardest hit by the civil war……Hundreds attended her wake and funeral, where a leader of the Campesino Development Committee said the organization would not be intimidated. Indigenous, human rights and international organizations expressed outrage for Raymundo’s murder. …..On Aug. 5, shortly after Raymundo’s killing, the respected sociologist Edelberto Torres-Rivas provided historical context for the attacks on rural leaders in a long opinion piece for El Periódico. …. He went on to warn that “In Guatemala there is a return of those who’ve carried out crimes in the recent past … and if the authorities don’t take care … there could be a reaction.”…..